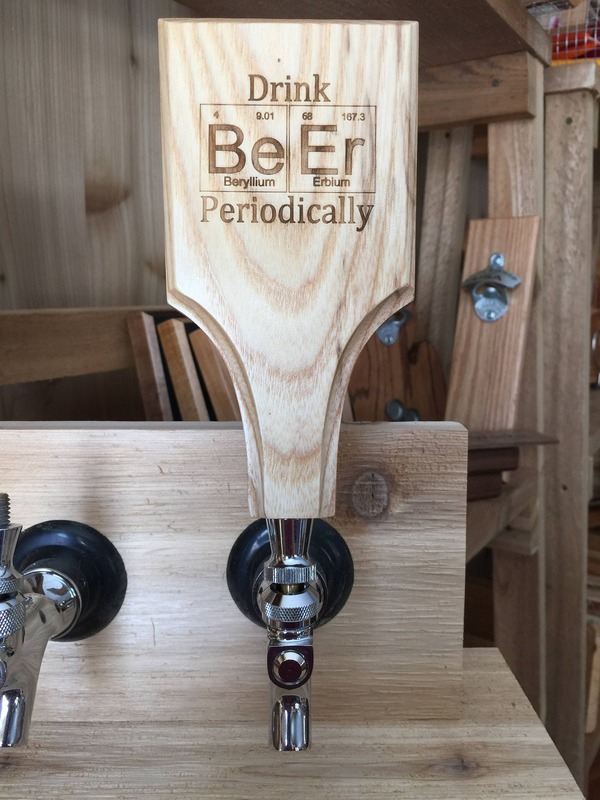 Periodic Table Inspired Engraved Tap Handle. 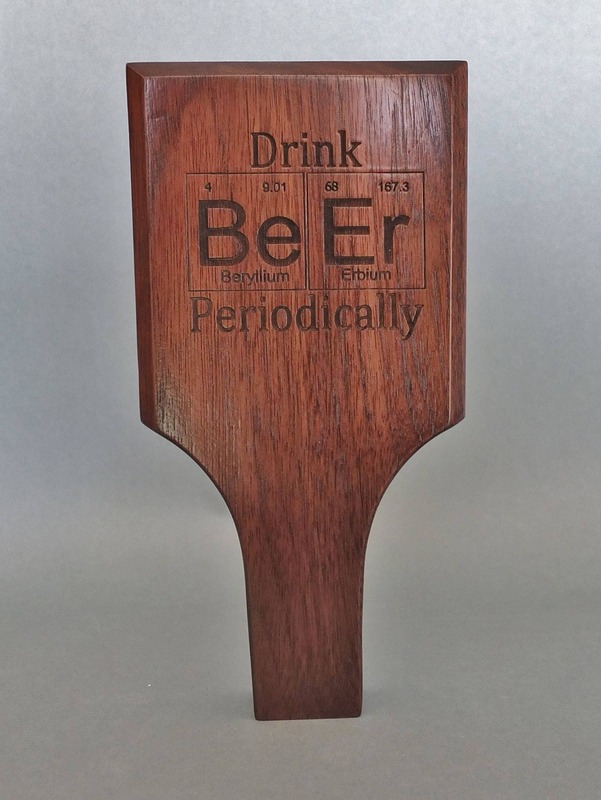 Chemistry or Science Geek Gift or Nerd Gift. Home Bar Decor for Craft Beer Home Brewer. 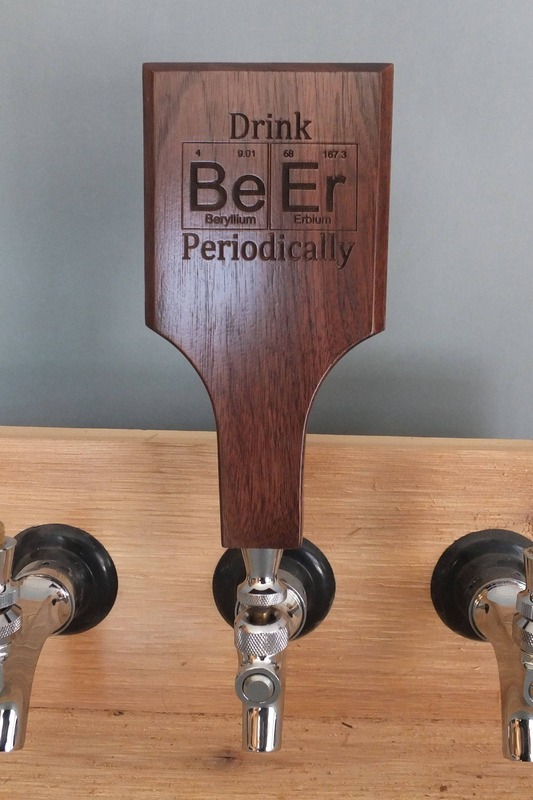 Laser engraved tap handle with BeEr spelled using elemental symbols from the periodic table. The reverse can be personalized--add text or a logo that you supply. The brass insert fits standard faucets. Size: 2" x 1 1/8" x 8" Available in maple (light) or cherry (medium). 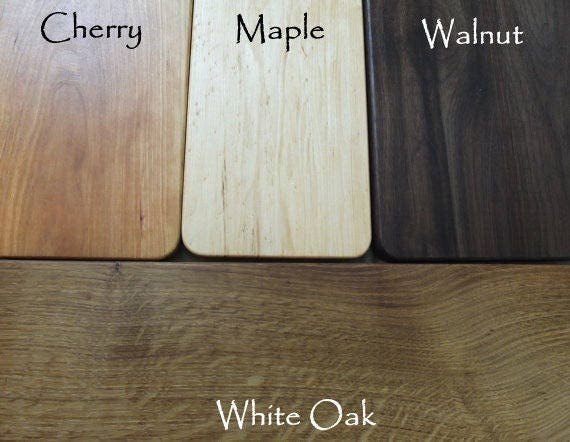 We make our tap handles using only solid, high quality hardwoods.